Earn 9 - 26 points upon purchasing this product. 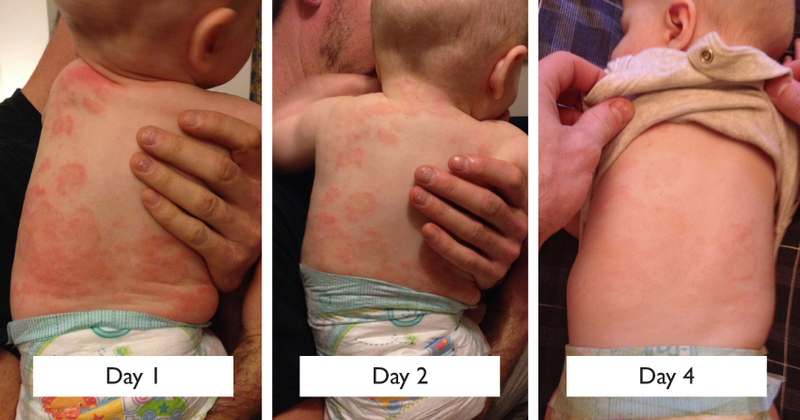 This natural eczema cream was created from my desperate attempt to find a solution for my baby’s severe eczema. You can read the rest of my story here>. A gentle, highly moisturising natural eczema cream formulated with natural ingredients to soothe, repair and relieve dry and itchy skin conditions such as eczema, dermatitis and psoriasis. A blend of plant oils, extracts, butters, and essential oils. Each ingredient has been chosen for its moisturising, nourishing, protecting and healing properties. Shea butter is blended with omega-rich borage, apricot and hemp oil. Use 90 - 260 points to purchase this product! Ingredients: Aqua (Water), Butyrospermum parkii (Organic shea butter), Helianthus annuus (Organic sunflower) seed oil, Glycerin (from vegetables), Vitis vinifera (Grape) seed oil, Cannibis sativa (Hemp) seed oil, Cetearyl glucoside (from coconut), Prunus armeniaca (Apricot) kernel oil, Leuconostoc/Radish root ferment filtrate, Cetearyl alcohol (from coconut), Persea gratissima (Avocado) oil, Cocos nucifera (Organic coconut) oil, Borago officinalis (Borage) oil, Oenothera biennis (Evening primrose) oil, Sambucus nigra (Elderberry) fruit extract, Cera alba (Beeswax), Buxus chinensis (Jojoba) oil, Rosa mosqueta (Rosehip) fruit oil, Carthamus tinctorius (Safflower) seed oil, Tocopherol (Vitamin E) oil, Urtica dioica (Nettle) extract, Sodium hyaluronate, Lavendula angustifolia (Lavender) oil, Arthemis nobilis (Chamomile) oil, Stellaria media (Chickweed), Calendula officinalis (Marigold) flower extract, Argentum metallicum (Silver) micro particles, *Geraniol, *Citronellol, *Limonene, *Linalool. 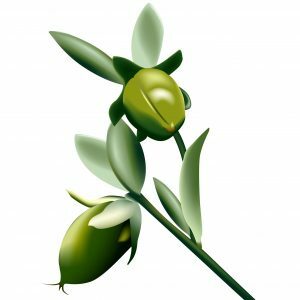 This oil has often been used in Chinese medicine as treatment for inflammatory problems and skin disorders. It is mild and non-irritating. It penetrates the skin easily and reaches deep into the tissues where it nourishes and acts as moisture control and general harmoniser. This oil is good for all skin types. It soothes dry or itchy skin and also restores the balance of oily skin. As a carrier it blends well with any essential oils and is readily absorbed. Vitamins A D and E are present, as well as an abundance of essential fatty acids. Suitable for application in psoriasis, eczema or dermatitis. 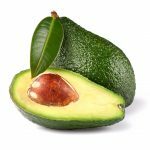 The avocado is a fruit, and the Aztecs called it ‘butter pear’. Its oils have always been known as an excellent carrier which provides high skin penetration as well as rapid absorption. Originally from South America, the avocado is now being cultivated in several different climate zones around the globe. Our avocado oil is cold-pressed and unrefined which brings out the best in the avocado’s natural properties. The deep green colour also shows the presence of chlorophyll as an added health bonus. A basket of mono-unsaturated fats help healing and slow the ageing process. This natural product from the honeybee has been known for thousands of years, and it is rated amongst the first plastics ever to be used. Egyptians and Romans were aware of its outstanding properties, and Vikings carried it on their boats. 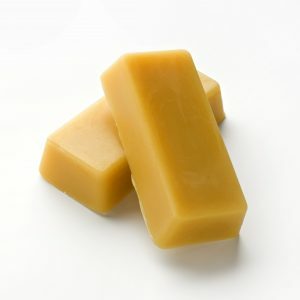 Bees Wax never goes bad and for easy application it can be heated and reused. Its structure shows esters of fatty acids and there are two different types of the product, European and Oriental. 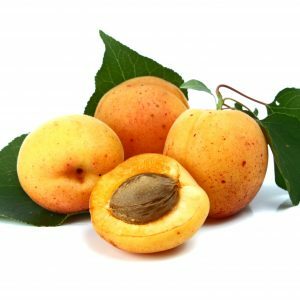 In skin products it is often used as an emollient. When applied to the skin it creates a protective barrier, while still allowing the skin to breathe. 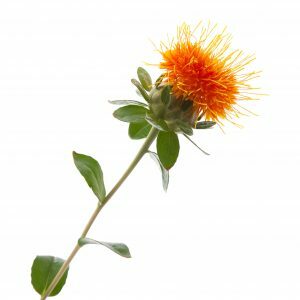 The rich smell and golden colour are pleasing to the senses, while anti-allergic properties and the ability to discourage fungal growth also make it an antiseptic agent in wound-healing. 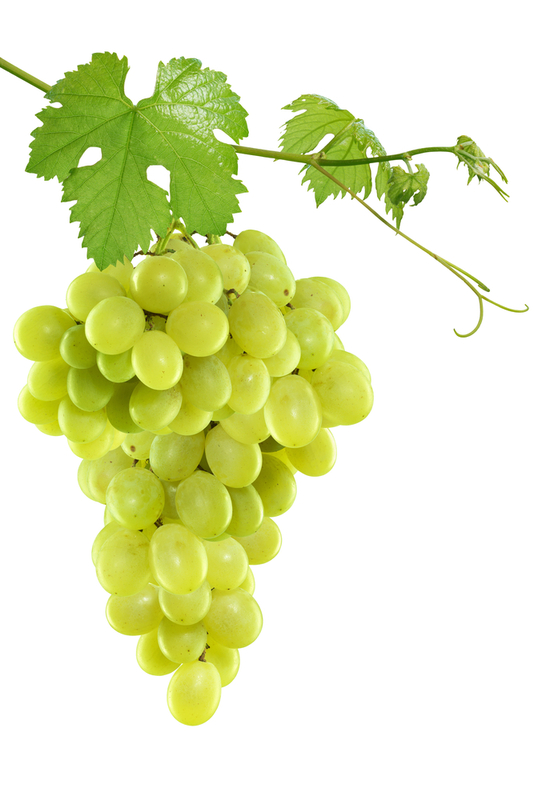 Contains Vitamin A, which aids cell development. Applied to cuts and wounds it draws moisture and seals the skin to protect against bacteria. Great for eczema, psoriasis and dermatitis. This pretty plant, often called ‘Starflower’, is actually a herb, and as a native to Syria, its use goes back some 1500 years. Having spread across the Mediterranean, it can now be found all over the world. As a cold-pressed oil it can encourage healing as it soothes the skin and restores the intercellular moisture barrier which may be dry or damaged. 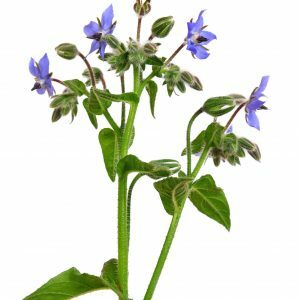 The high percentage of gamma linolenic acid (GLA) contained in the seed oil is instrumental in the regeneration of skin cells. New growth is promoted and blemishes, spots or wrinkles become visibly reduced after application. Effective for the reduction of rosacea. Can be used to treat eczema, psoriasis and dermatitis. Reduces cradle cap in infants. The Marigold flower’s native home is the Northern Mediterranean, but the plant can thrive far north and survive in poor soil. For centuries, the gold and orange flowers have been part of the common portfolio of healing herbs, and marigold poultices were well known to our ancestors when they needed to treat cuts, scrapes, bruises, burns, and minor infections of the skin. The plant’s properties are astonishingly diverse. Known as anti-inflammatory, anti-bacterial, anti-septic, anti-fungal and anti-viral, the natural particles deal with scarring, chaffing, burning, swelling, bruising, infection, as well as insect bites and stings. Regular use is said to give the skin a youthful glow. Stimulates lymphatic system and increases protein metabolism. Reduces pressure sores. Due to being viscous this oil lends itself to application in long strokes during full body massage. 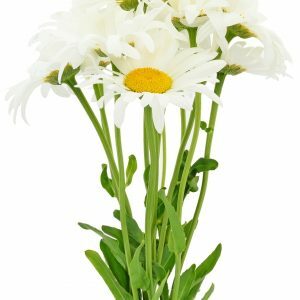 Chamomile is considered a powerful medicinal herb, and as an all-round essential oil it is soothing and gentle when treating rough, red or sensitive skin, while also having properties to take away pain and alleviate tension. When used topical for particular skin conditions, it acts as antiseptic and antibiotic, and the results can be astonishing where healing of small wounds is concerned. Being gentle and soothing, it acts as sedative and tonic, not only for the skin, but for the whole body. Women can apply it to relieve monthly tension as it has a strong antispasmodic effect. Good for eczema, acne and dermatitis. Suitable for children and babies. This plant is native to Europe, and it has been used as a remedy by medieval herbalists who valued it for its anti-inflammatory effect. It was later introduced to America. Applied as oil during body massage it is renowned for its lubricating qualities. The skin becomes thoroughly nourished, healing is promoted and urticaria and other allergic rashes may be alleviated. Clears itchy skin. Good for allergies, eczema, acne and psoriasis. Originally from Mexico this herb has spread across the Americas and can now be found in most temperate regions. The cold pressed oil and its pleasant fragrance have been valued as part of women’s health care for a long time, mostly as a relief for monthly tension, although some of the properties attributed to its use as healer of arthritis, eczema and cancer have remained unconfirmed. The high content of fatty acid makes it an excellent skin agent as it hydrates, softens and soothes dry and irritated skin. Adding firmness and elasticity it can also prevent premature ageing. 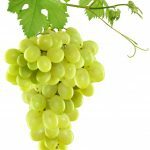 It is said to reduce dark circles under the eyes, and a youthful look may be achieved as it adds moisture to produce a strong and subtle complexion. Due to the fine texture it is mostly used with other carrier oils. Suitable for babies and young children. 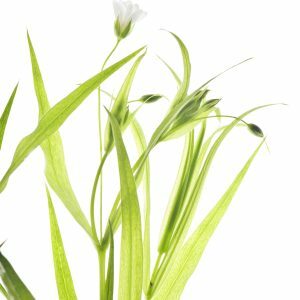 When used in massage and for topical application, it tones and tightens the skin and minimises sun damage. Being anti-inflammatory, it reduces swelling and acts as a regenerative and restructuring agent. It can be used to moisturise sensitive skin as it repairs damaged capillaries and leaves a glossy appearance. Under-eye circles may be diminished and it can give protection against future tissue damage. 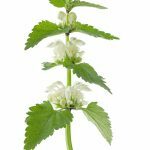 The leaves, stem and bark of the common stinging nettle, which grows wild around the globe and has been used in health care for hundreds of years, provide therapeutic agents for various health problems and conditions. The nettle was always considered a good healer for allergies and painful joints. It was also known to relieve urinary tract problems. When applied to the skin it could deal with itching or irritated skin. The anti-inflammatory effect may enhance a natural immune system response. Working as an astringent it tightens the top layers of the skin to relieve irritation, reduce secretions, and improve tissue firmness. This beautiful plant is one of humanity’s oldest crops. Flowers have been found in ancient Egyptian textiles and Tutankhamun’s tomb was adorned with strings of petals. It was also known and used in China as a medicine. Today, it can be found in India, Mexico and the US where it is grown for its oil-rich seeds. The oil is a lubricant with occlusive properties, maintaining the cell membrane’s integrity and aiding repair. As it keeps the skin hydrated and moisturised, it is good for all skin types, reducing clogged pores, smoothing skin and having an anti-aging effect. Apply natural eczema cream to affected areas as often as required. Can be applied topically to any part of the body including face. Also suitable for babies over 3 months of age. As with any new skincare product, we recommend you do a skin patch test prior to use. A highly moisturising all natural eczema cream with calendula to soothe, repair and relieve dry and itchy skin conditions such as eczema, dermatitis and psoriasis. It penetrates deep into the skin delivering essential fatty acids, vitamins and minerals into the epidermis. Eczema-prone skin does not produce as much oil as healthy skin. Oil in the skin creates a protective barrier to keep irritants out and moisture in. Without sufficient oil in the skin, the protective barrier is compromised, moisture is lost and irritants enter. As a result skin will become dry, red, inflamed, itchy and sometimes cracked. In severe cases this bleeds and becomes vulnerable to infection. Infection can spread quickly with scratching and damages the skin further. Soon you will be caught in a vicious ‘itch scratch cycle’. So the key is to break that cycle, keep moisture and oil locked in the skin. This natural eczema cream is also great for psoriasis and other dry and itchy skin conditions. It contains a blend of plant oils, extracts, butters, and essential oils. Each ingredient has been chosen for its moisturising, nourishing, protecting and healing properties. 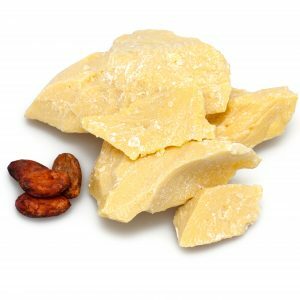 Shea butter is blended with omega-rich borage, apricot and hemp oil. 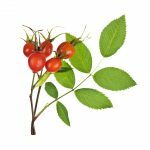 Rosehip oil contains beta-carotene which improves moisture level. 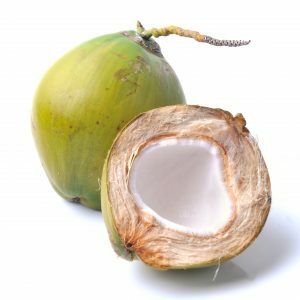 Coconut oil, rich in fatty acids, treats irritated or inflamed skin. 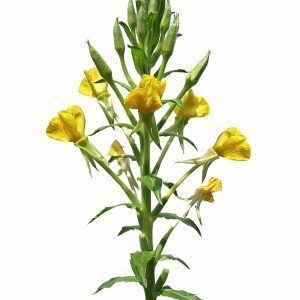 Evening primrose oil hydrates, softens and soothes dry and irritated skin. Jojoba oil penetrates deep into the skin whilst unclogging pores. All of these oils also have emollient properties and are full of vitamins and minerals which are often lacking in dry skin. 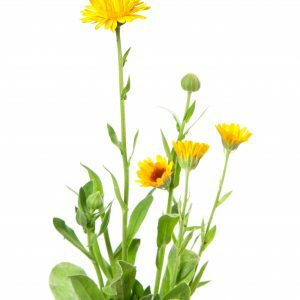 Also combined in this natural eczema cream are herbal extracts such as calendula to promote tissue healing and elasticity. Nettle and chickweed with anti-inflammatory properties soothe the itch and irritation. We also use beeswax to provide a natural protective barrier, keeping allergens out whilst locking moisture and nutrients in. With a calming aroma and soothing properties of lavender and chamomile, this cream provides welcome relief to skin in need of rescue. We also use colloidal silver which not only preserves but is also anti-inflammatory and helps to heal cracked, and damaged skin. This natural eczema cream contains no parabens, paraffin, petroleum, steroids, GMO’s or sodium lauryl sulphate. It is also free from chemical preservatives and artificial ingredients. It also contains no synthetic perfume. Any fragrance comes from natural essential oils. We do not test on animals. Although originally created for eczema and psoriasis sufferers, this natural eczema cream is also suitable for any dry skin condition. It is suitable for men, women and children including babies from 3 months of age. Use this calendula cream on any part of the skin including face. It is also great for nappy rash. You can read the story behind the development of this natural skincare brand here. Here is a great link for tips on treating eczema naturally. I have been using Shaloah Borage and Calendula Soothe and Repair Cream for my 5 month old baby boy’s eczema for a week now and can honestly say it’s worked wonders! I’d been using a couple of creams prescribed from the doctor for about a month and was growing frustrated, as there was clearly no improvement whatsoever. However, when I started using Shaloah Borage and Calendula Soothe and Repair Cream I could see an improvement within just an hour after doing a patch test on my baby’s face. I used the cream twice daily over the next couple of days and his skin became much softer and the redness had lessened considerably. He was scratching less too. Within less than a week my baby boy’s skin is almost back to normal and has lost the dryness, even on a really bad patch on his little ankles and feet. 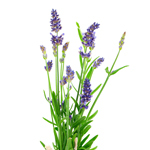 The cream itself has a divine lavender aroma and feels luxuriantly soft. I would highly recommend this wonderful cream to anyone out there whose little ones, or for that matter any adults out there, who are suffering with any dry skin condition. 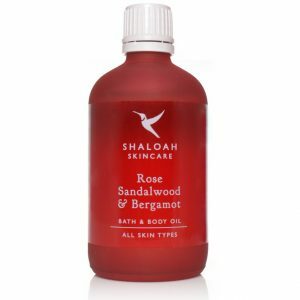 I would also recommend Shaloah’s luxury creams for women which are softly sumptuous and smell out of this world. 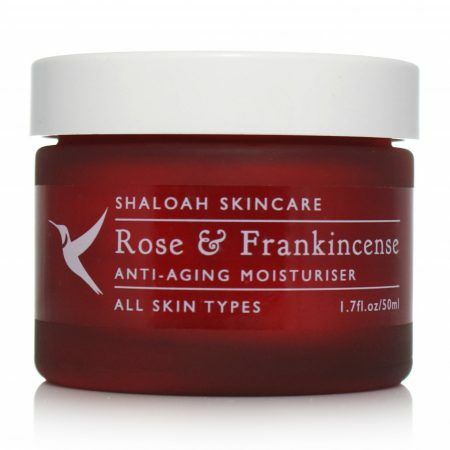 I am a particular fan of the rose and frankincense serum, which I use before moisturising. When I read the reviews on your website from people who used your cream on their eczema with favorable results I decided to try it out of desperation. I have been using your Calendula and Borage cream for a couple of days now and it has been amazing on my psoriasis. I have had psoriasis all my life in small patches around my arm, legs and scalp but for some reason about 18 months ago it appeared with a vengeance around my eyes and lower face. The skin around my eyes was so inflamed, itchy and flaky my eyes constantly weeped and looked puffy, it has made my life a misery. Nothing I have tried has helped until I applied your cream and I didn’t want to go down the nasty chemical route to find relief. The next day after applying your cream the inflammation and flakiness had reduced substantially. I will keep using it, it’s a relief to have the skin around my eyes and face almost back to normal again – thank you! 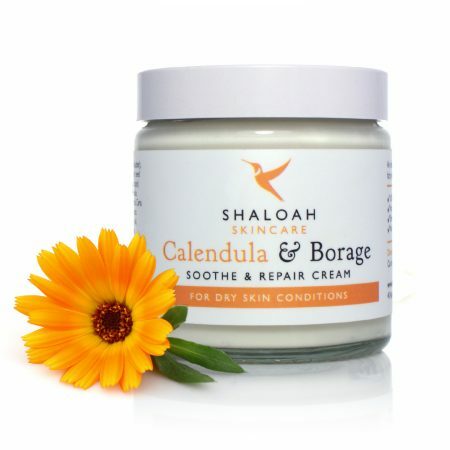 Shaloah Skincare Calendula & Borage Soothe & Repair cream does everything I want it to. It makes my skin a lot better but it’s also NOT full of rubbish. I really don’t want to have to put steroid creams on my body and this cream stops me doing that. It’s also more cost effective and comes as soon as I order it. I would recommend it to anyone suffering from psoriasis or other skin based problems. I came across Shaloah products at an Etsy Christmas market and after chatting about my son’s eczema struggles I was recommended to try the calendula and borage cream. Having tried many creams without much success including steroid creams from the dermatologist I was a my wits end. I am a firm believer in natural products and was really happy to have found this product and was looking forward to trying it on my son. After only a few days of using the calendula and borage cream I could clearly see the difference in his skin and it has stopped his itching! Also it smells divine! 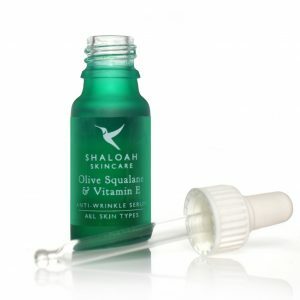 I will definitely continue to use this product on my son, thank you so much Shaloah! 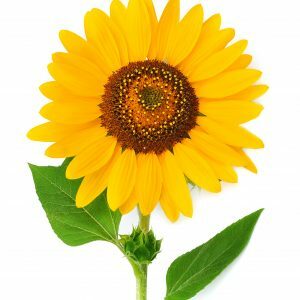 My baby son suffered with Eczema and after trying many creams with no improvement I came across the Calendula and Borage cream. Within two days of using the cream there was a considerable improvement and his eczema patches are not noticeable at all now. The lotion has a lovely scent (Lavender). I love natural products and would definitely recommend trying this. Wonderful cream! It took away itching and skin feels softer & better each day! It is the only one I have ever used that has actually given me relief from the itching and soreness of eczema. Since using it I have actually had some decent sleep. I am sure it will make such a difference to my everyday life. Thank you. This is an excellent cream. I bought it to try on red and itchy skin on my face and within a day the redness had gone. It doesn’t sting at all and smells wonderful. Thank you so much, and thank you for the special extra for my first order. I am now going to try the night cream. So happy to have found the soothe and repair cream. It has really made an amazing difference. After having a terrible reaction to a different product I got this and after 2 days of using it, my skin cleared up and it pretty much disappeared. You can’t even tell I have or ever had anything wrong my my skin. Very happy. I couldn’t recommend the Calendula & Borage eczema cream highly enough. My little girl suddenly developed eczema, went to GP several times and got prescribed a different cream every single time. All these seemed to do was make her skin even drier. Also visited a dermatologist who prescribed steroid creams which I wasn’t happy to use. The only thing that seemed to make a bit of a difference was Aveeno cream but still had to use it with steroid creams. I was then lucky enough to come across Shaloah Skincare website and decided to give the eczema cream a go. Have used it for nearly two weeks and have no longer needed to use the steroid creams. My baby’s skin is lovely and soft and there are no more dry patches. It soaks in very quickly and smells lovely. A little of this cream goes a long way. If you do suffer from eczema, please do give this cream a go, it’s amazing!!! Please don’t ever stop making it!!! I am also using the Green Tea & Avocado night cream, Geranium & Chamomile moisturiser and Chamomile & Bergamot facial serum and all the product are very, very good. Brilliant products with a difference: no chemical preservatives! The results have been astonishing. I don’t feel the need to use anything else for my dermatitis patches which are fading and being replaced by normal skin. Fantastic product. I have two little ones aged 2.5 and 1 and both have seen significant improvements in there eczema after just a couple of applications. Thanks! 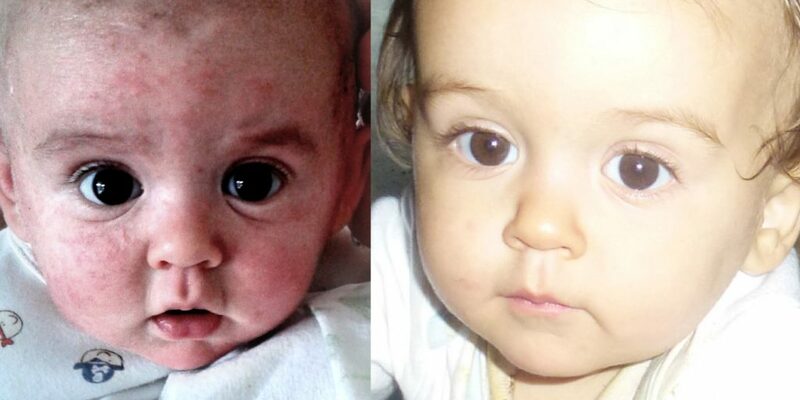 The Calendula & Borage Sooth and Repair cream is the best Nappy Cream I have ever tried for my son, now 10 months old! He has never had a rash with this soothing cream, and it smells wonderfully. I live in Norway, and we still buy this all the time in the UK. I have also used it as a hand cream since the smell is so good, and it dries in to the skin immediately. If I could give more stars than 5, I would. Hi! Thanks for the super fast delivery. Ordered on Fri around 9am & products received next day. My son used to have severe eczema. Had phototherapy in the past including different moisturisers & steroid cream. Decided to look into his diets & trying natural cream instead of using the one prescribed by GPs. He has been using the calendula & borage cream for over a year now. His eczema is a lot better where we don’t have to use steroid cream on daily basis as before. His skin is better moisturised with this cream than any other cream we have used in the past. Bought the calendula cream for my son who suddenly developed eczema on his eyelids in his teens. Doctor prescribed hydrocortisone, which we had to use, albeit with much hesitation. Since using the calendula cream he is off the prescription cream and the product has calmed down his eczema! So lovely to be able to see results from natural products. Love the smell and brilliant customer service. Would definitely recommend. Having used your Calendula and Borage cream to help manage my toddlers eczema I am totally amazed at what comfort can be found in this little pot of magic!! Application is simple and comfortable for her due to the smooth and luxurious texture, even the smell is soothing and calming. No cream or lotion whether prescribed by her GP or purchased in a pharmacy has ever really made much difference, some even adding to her problems. We have been using only this cream once or twice a day for just a few days and already her problem areas are now presenting soft, smooth and most importantly not itchy, her skin is finally starting to heal after 18 months of discomfort and we are all delighted with the results. She is also in love with her first ever bar of soap you so kindly gifted her with! Her first play with bubbles in the bath! One of the best products I’ve ever purchased, can’t wait to try some of your others for myself! Amazing cream for my sons eczema! It’s already starting to make a big difference after only a few days! Finally a product that does what it’s meant to! My son is 11 and getting quite self conscious over his eczema on his legs arms and face so hopefully this summer he can wear his shorts and not be worried!! Thank you so much for making this wonderful cream. It has improved the quality of my sons skin tremendously. His once dry itchy eczema skin is beautiful & soft. I’ve been using it regularly for a year now & saw an almost immediate improvement in my son’s skin. He was almost 1 then. We used it many times a day to start & now we keep on top of it with 1-2 applications a day. Recently I was without it for one month because I was unexpectedly away for a while & didn’t bring enough with me. I used other products with similar ingredients but it was not nearly as good & his skin did begin to suffer from dryness & began to itch a bit. I recommend this cream to others I know with eczema…& sometimes to strangers I end up talking to about eczema! This is Ruben on day 1, 2, and 4 of using the calendula and borage cream – we were using it before, and his eczema cleared up loads. We stopped, and it got worse, and this was when you sent the emergency pot! We use it every day, and it is continuing to improve although he still gets itchy. Think these pics go to show how quickly it can make a difference. not only did it look much better, he was a lot less stressed too. Your products are fantastic! Your calendula cream has practically cleared my boy’s eczema. I have recommended it to everyone I know. Your face creams and soaps are also a delight to use. Please make more products! Thank you. Thank you very much to the lady on a post I commented on who recommended this cream for my LO who had eczema on the backs of her knees, arms chest and back. I have only been using the cream for 3 days using it twice a day (when getting her dressed and after bath) and low and behold the eczema has nearly gone!!!! It’s fantastic natural cream and I am so pleased with the results. She also had a dribble rash which I have been putting the cream on and that has more or less gone too. Highly recommended. The calendula and borage soothe & repair cream is amazing – the eczema on my hands healed so quickly, I can’t thank you enough. The geranium & chamomile moisturiser is fabulous too… A great service. I will definitely be coming back for more! Hasn’t improved my complexion in the slightest, unfortunately. If anything, it has made it more irritated. Disappointing and still seeking for that miracle alternative to steroid cream. This is a truly fantastic product, I am about to buy my second jar as I won’t use main stream products after using this. I suffer badly with dermatitis on my hands as a result of my work, I have used all the main stream treatments (steroid creams, moisturisers) but with little effect once I started using this I started getting results after about two weeks and the dermatitis has almost completely gone now I would give ten stars for this but there were only five to give. My little one started suffering with eczema and was prescribed Aveeno, I find the bath oil great but the cream seemed to make his eczema worse. A lady on Netmums shared a link with me – this all natural cream is amazing stuff and after using it 3 days it’s almost gone in some places. You only have to read the story and the reviews to see how fab it is. So far it’s been worth every penny! I’d heard a lot about this cream, but seriously i am still amazed at how effective it is. Using it on 16 week old baby, saw results within a few hours, now on day 3 of use and my little boy is much happier, and his red dry patches fading very fast, some have gone altogether! In our opinion everyone should be recommending this product, especially health visitors. We certainly will be. Thank you so much for your Calendula and Borage eczema cream, it worked wonders for my daughters dry cracked hands, she was worried at first as other creams have stung when applied, but this soothed her skin and really does work clear up the condition! I also love the Green Tea & Avocado night cream too, it feels really luxurious – Amazing! it’s made with all natural ingredients and no nasty chemicals. daily a particularly healthy glow in Mia’s skin. body we only know very few creams to use for the face, neck, around ears and chin. have eggs in cake etc but a boiled egg is still not possible. She looks well generally this year after last winter but this may be due to the mild weather. forward to see your business grow,we totally support your ethic of using natural ingredients only!! Your skincare reminds me in its quality also of Neals Yard Remedies which I also adore! and the fact that it is a pure product. The smell is wonderful. around my eyes and find this has helped, though has not cleared it completely.